I have a birthday card to share with you today. I send out LOTS of birthday cards each month, and I like to have a fun design that is easy to use for anyone. This card, with it's cheerful and brightly colored balloons fits that very nicely. I used a neutral background to make the colors of the balloons really pop, however, you could easily trade that out for a subtle color. 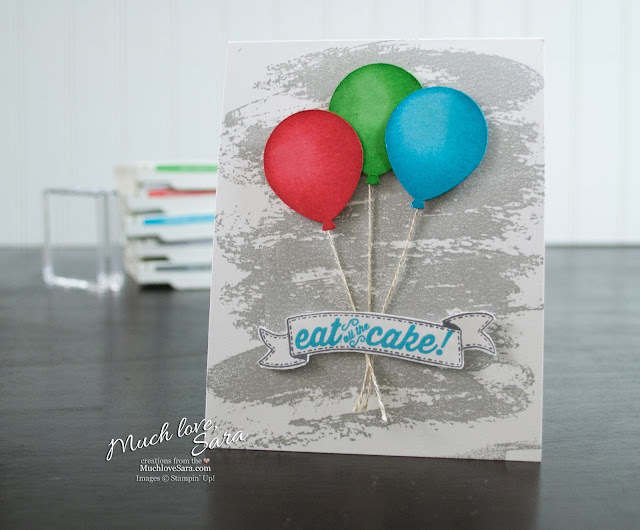 I filmed a video tutorial making this card. 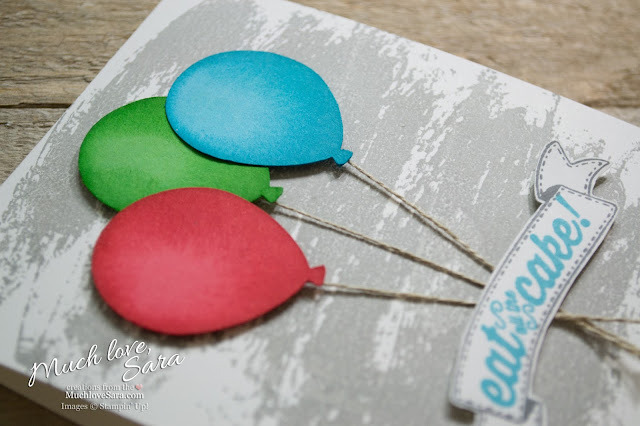 And in it I show you how to ink the balloon punch outs to give them some dimension, as well as, how to use background stamps when you don't have a large stamp block.